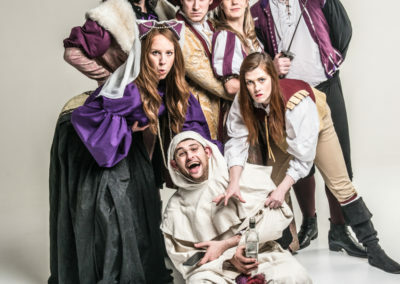 Touring as one of A-List Entertainment international acts, Sh!t-Faced Shakespeare brings five classically trained actors to the stage, with one of them heavily drunk prior to the performance – and, at the audience’s request, increasingly so during it. The result is both unpredictable and hysterical, bringing an unforgettable and unrepeatable performance each night. 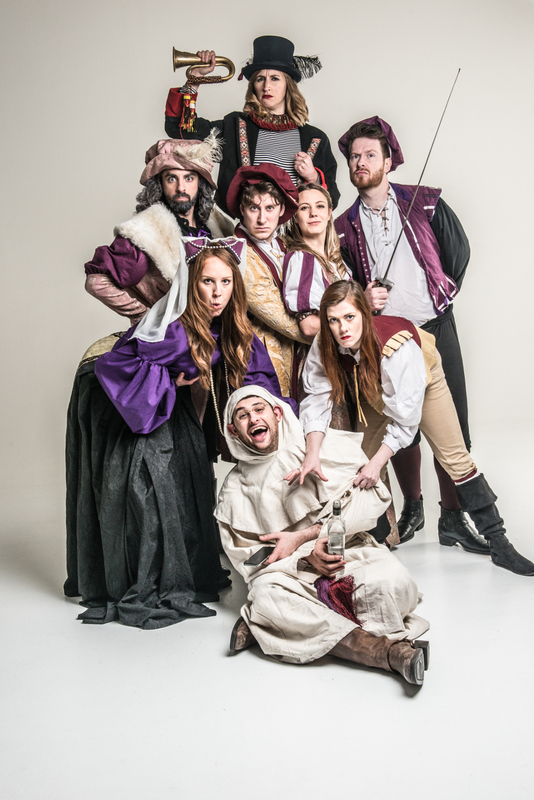 Cutting Romeo and Juliet down to an hour while remaining both completely recognisable and leaving room for improv is no easy task, but even the core revised script stands on its own. The doubling of roles also allows for maximum hilarity, especially for actors whose initial characters are killed off before the halfway point. David Ellis was the sole drinker during Thursday night, doubling as Mercutio and the Friar. He got laughs from the moment he wandered onstage and they rarely stopped for the next hour. The latter role in particular plays out as an exaggerated but recognisable version of Mercutio, clinging to his friends, enemies and anyone in between, crying out in exasperation after losing the invite still in his belt, and snarkily interrupting any moment he can. The most memorable moment of the night came when one of the audience members responded to his question about the Australian practice of shoeys by throwing one of their own shoes onto the stage. While the closest the audience came to overusing their own influence, it brought the most laughs in the show, with Mercutio continuing to ask to be consoled by Romeo as he woos Juliet. His performance as the Friar equally hilarious and mercifully his second lot of drinks during the role isn’t served in a boot. His constant barrage of jokes were never ignored by the rest of the cast, being played with and expanded on not only in the scene but throughout the entire show. Rather than remaining straight-laced, they gleefully run with their cast member’s nightly chaos, showing the strong improv skills across the board. 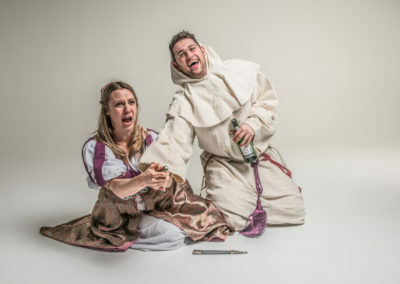 They work with the additions to the point of a completely new ending being a very real possibility, with an unkillable Mercutio and inebriated friar being responsible for what is one of the happy endings the famous tragedy will get. 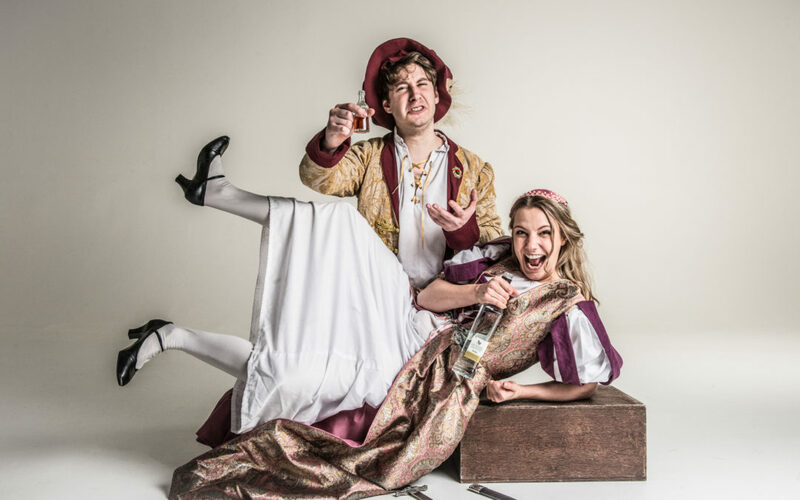 Even in scenes featuring only sober cast members, the comedy never falters, with the morning before Romeo’s banishment with Beth-Louise Priestley, Richard Hughes, and Stacey Norris remaining one of the highlights of the evening. Briony Rawle was also hilarious as the Compere overseeing the show, helping the cast protect each other from themselves, each other and the whims of the audience while adding her own brand of humour to the show and framing the hilarity before the night’s cast even walks on stage. And with the cast rotating each night, including which cast member is inebriated, it also allows for the possibility of returning to see an entirely different show every night. The hilarity comes not only from outside the play, but from within it, taking conventions of the time to their extreme. The audience is also heavily involved, with the crowd taking on an energy and involvement comparable to that of the Pop Up Globe and the original theatre it replicates. The audience truly becomes part of the show, both in their direct involvement (including the keeper of the bucket, who, on Thursday, dove onto the stand in an army roll) and in the energy of the show. Part of what adds to the shows strength and hilarity is the intricate, traditional backdrop it is set against. Mac Young and Rev. Lewis Ironside’s fight choreography stands out both in its dramatic moments and its ability to be adapted to fencing with an inflatable banana. It genuinely took me halfway through the show to realise that Alex Stevenson’s impressive painted backdrop wasn’t a three-dimensional set, and Lorna Jean Connell’s intricate Renaissance-like costumes include ridiculously oversized codpieces. The hilarity comes not only from outside the play, but from within it, taking conventions of the time to their extreme. It’s a hilarious concept with an extremely talented set of cast and crew that stands on its own, but the absurdity of taking visual cues from traditional adaptations takes it to another level. And maybe, with its raucous, involved crowd and constantly innovating actors, it also brings back something of the originals that is rarely seen. 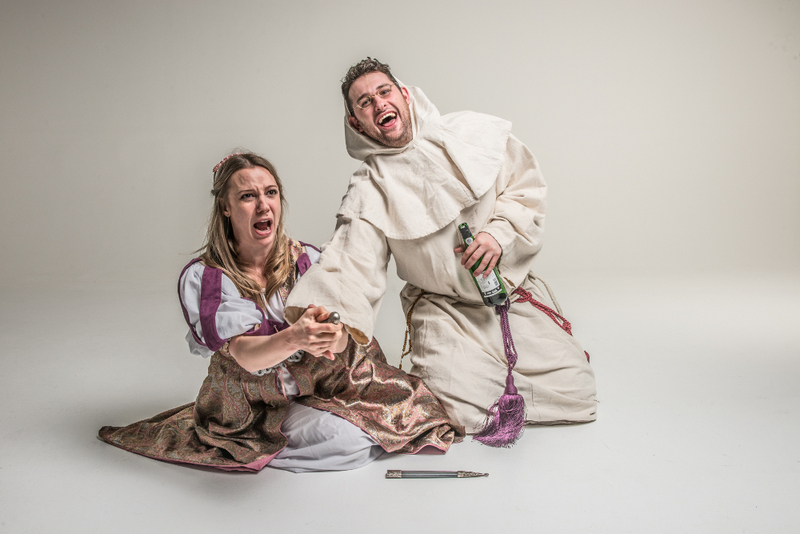 Click here for Sh!t-Faced Shakespeare performance dates, ticketing prices and more information.